Infowars.com is calling for a general strike across the United States in response to the federal government’s botched response to the Ebola outbreak and the Obama administration’s refusal to block flights coming in from West Africa. Countries bordering those in West Africa impacted by the Ebola outbreak have been successful in stopping the spread of the virus by blocking flights, including Ivory Coast, Guinea-Bissau and Senegal, and yet the Obama administration has refused to do likewise despite innumerable public figures calling on the White House to take action. Numerous airlines have also restricted flights to Ebola-affected countries and yet the United States remains wide open to potential Ebola patients not only via airports but also via the country’s porous southern border, where hundreds of illegal aliens from Ebola-hit countries have poured across in recent months. Marine Corps Gen. John Kelly, commander of the U.S. Southern Command, has also warned that if the Ebola outbreak continues to rage it could cause “mass migration into the United States” of victims seeking treatment. 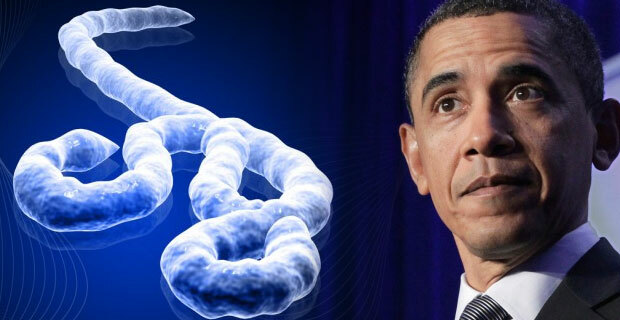 By refusing to block flights or tighten border security, the Obama administration is aiding and abetting the spread of Ebola and engaging in dereliction of duty by refusing to adopt the default position under such circumstances. That’s why we’re launching a national campaign for all non-essential workers in the United States to strike from Monday through Wednesday next week. We are calling on everyone to get behind the strike by tweeting under the hashtag #stopebolastrike and by personally participating in the general strike from Monday to Wednesday. We also invite other media outlets and media personalities to support the strike. We have also launched a petition at WhiteHouse.gov which we encourage all Americans to sign here. If the Obama administration fails to respond to the strike by Wednesday, it will be prolonged until the federal government is forced to take proper action to fight Ebola. The CDC has proven itself to be dangerously inept and woefully unprepared to deal with a wider Ebola outbreak in the United States after two nurses who should have been properly protected contracted the virus from patient zero – Thomas Eric Duncan. The CDC also gave express permission for Ebola victim Amber Vinson to travel on a commercial airliner after she had frequent contact with Duncan during his treatment at Texas Health Presbyterian Hospital Dallas, potentially exposing 132 passengers who also flew on the Frontier Airlines plane. The federal government is committing criminal neglect by failing to implement the very measures that have proven successful in other countries in stopping the spread of the Ebola outbreak.